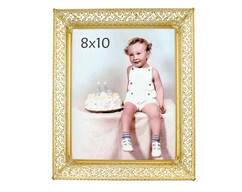 A vintage 1976 IIC (Intercraft Industrial Corp) 8x10 photo picture frame with a thick Tuscan faux carved wood design. Solid plastic resin composition. Original antique gold coloring. Nice vintage condition with a few signs of normal use. No adverse issues noted. The red felt backing does show some age-related wear and fading as expected (see last photo), but the easel is still in fine working order. 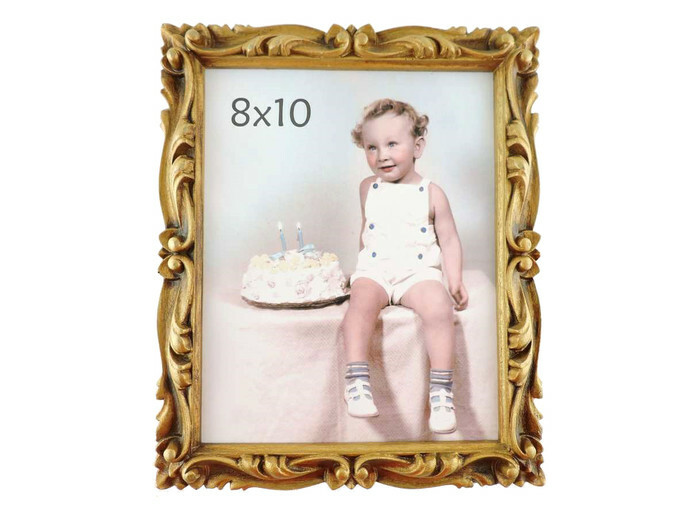 Overall frame measures approximately 10 inches wide across the front by 12 inches tall. Unpackaged weight is 1 3/4 pounds. Made in U.S.A.